Schilling is among those being sued by Rhode Island’s economic development agency after his startup video game company, 38 Studios, collapsed. 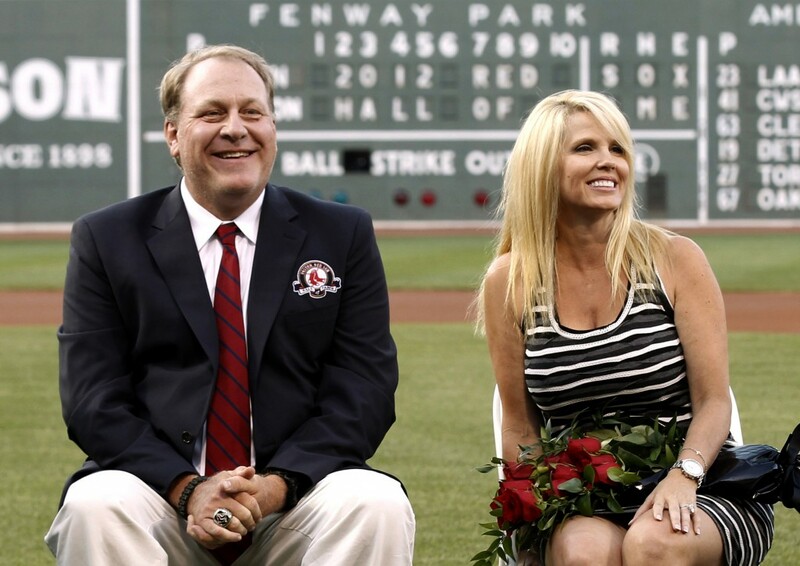 PROVIDENCE, R.I. — Former Boston Red Sox pitcher Curt Schilling — whose video game company collapsed into bankruptcy last year, prompting a high-profile lawsuit in Rhode Island — is selling off furniture, sports collectibles and even artificial plants from his Massachusetts home. An estate sale company has scheduled a sale of items from Schilling’s seven-bedroom, 8,000-square-foot Medfield residence for Saturday. Among the items listed on Consignworks Inc.’s website are sofas, porch rockers, candlesticks, a baby grand piano, a punching bag, a Hummer golf cart, a baseball glove chair and a vintage Coca-Cola vending machine. Schilling is among those being sued by Rhode Island’s economic development agency over the collapse of his startup video game company, 38 Studios, named for his old jersey number. The Economic Development Corp. board in 2010 approved a $75 million loan guarantee for the company to lure it to Providence from Massachusetts. 38 Studios filed for bankruptcy last year, and Rhode Island is now on the hook for some $90 million related to the deal. The suit claims Schilling and others knew the company would run out of money but concealed that information from the board. Schilling has called the claims baseless and the suit political. Schilling has said he invested as much as $50 million in 38 Studios and has lost all the money earned over his 20-year career. He works as a baseball analyst for ESPN. His attorney, Sarah Heaton Concannon, had no immediate comment on the estate sale. Schilling already auctioned off the bloody sock he wore in the 2004 World Series while pitching on an injured ankle. It had been on loan to the National Baseball Hall of Fame and Museum in Cooperstown, N.Y., but was returned to him so he could sell it to cover personal loan guarantees to 38 Studios. It sold for $92,613, which was less than expected. The Schilling home, which he bought from former Patriots quarterback Drew Bledsoe for $4.5 million, is for sale for $3 million. It has a heated eight-car garage, a batting/pitching cage, putting green and wine room. “It’s still for sale, and it’s a lovely home,” Robin Wish, the real estate agent handling the listing, said on Monday. She would not comment on whether the Schillings still live there. The Schillings put the house up for sale in 2008 for $8 million, but later took it off the market, according to real estate listings. It was relisted about a year ago, initially at $3.5 million. Consignworks says on its website it is extending its usual hours for Saturday’s sale because of the large number of items, and that a police detail will direct traffic. Other items listed for sale are a 38 Studios drafting table; a baseball bobblehead collection; DVDs including “The West Wing;” video games including “World of Warcraft;” and many copies of his wife Shonda’s book, “The Best Kind of Different,” about their son with Asperger’s syndrome.